Good evening everyone! 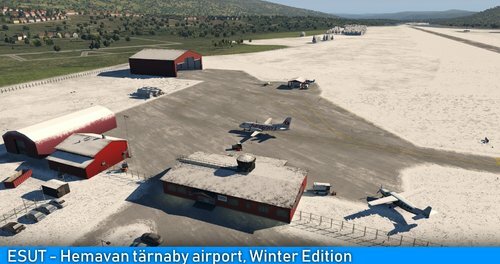 The airport has now been released Have fun! More objects were textured today, Not that many things left to do here. just some more objects to texture and add dynamic lights. Some images I forgot to add in the latest post. Here are some taxiway signs I made a couple of weeks ago. 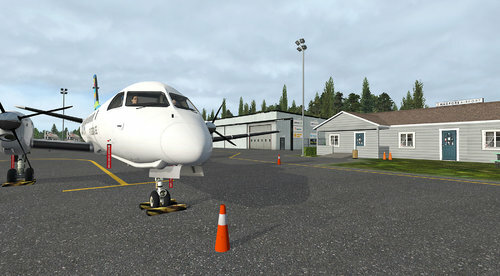 Great airport with lots of details. Amazing job with the ground textures. Looking forward to your future projects. 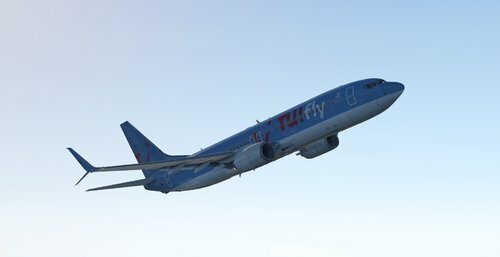 Satcom mod for the Flightfactor A320 Installation https://www.youtube.com/watch?v=jUJwCk0cp_A& Licence You may not redistribute any parts of this addon except the base texture, without my permission. You may use the base texture as a paintkit for other liveries if you wish but you can not redistribute anything else but 320_satcom.png Donate (Not a requirement, but happily accepted) https://www.paypal.com/cgi-bin/webscr?cmd=_s-xclick&hosted_button_id=7P7TNGFEHHRY6&source=url Thanks for downloading!